The MIA service provides a specialist advocacy service to all high risk domestic abuse victims. 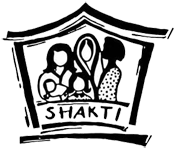 Shakti's Dundee service provides support to BME women including trans women and also support women at risk of forced marriage and so called honour based violence. Dundee Citizen's Advice Bureau works in partnership with Dundee Women's Aid to help with all Benefit enquires, applications, appealing decisions, financial problems including looking at options to deal with debts and budgeting.